Connect Client Quick Reference Guide (pdf) - See, at a glance, how to navigate Connect. Connect Client Tutorial - An interactive training to familiarize yourself with Connect. PCs on William & Mary's ESP leasing program, automatically have Connect installed on the computer. IMPORTANT! There have been multiple issues related to the installation of Connect Client. The Connect Client Troubleshooting Steps webpage can help you navigate these issues. Note: This issue does not affect Macs, as there is currently no Outlook integration for the Mac version of Connect. Voicemail is accessed on all phones either by pushing the "Voicemail" button, pushing the "#" sign on the dial pad, or dialing 757-221-1000. 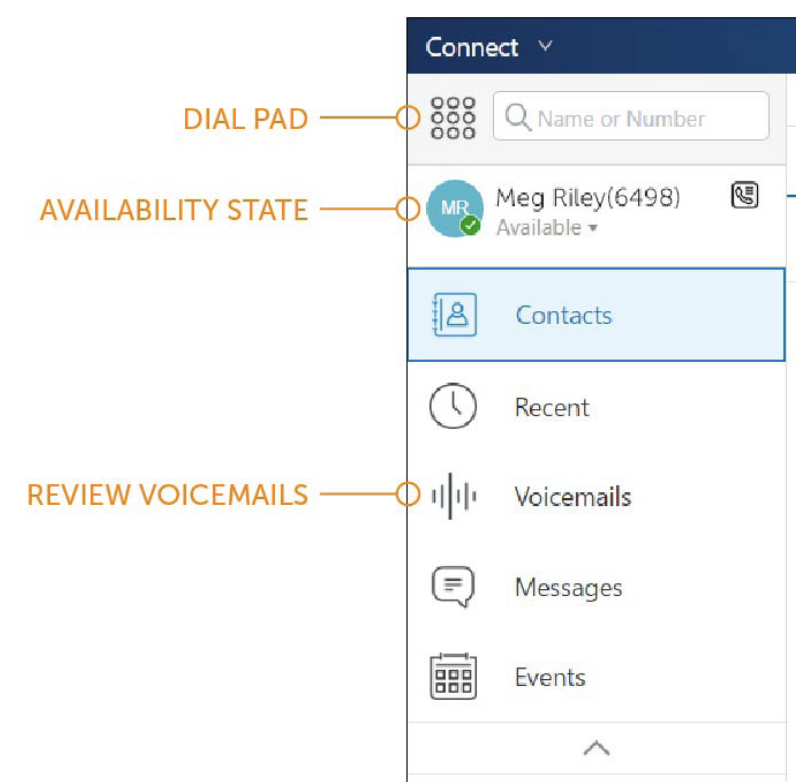 See the Voicemail Quick Reference Guide (pdf) for Voicemail operations and menu options.